Windchill RBD - Relex Italia S.r.l. enable you to accurately evaluate true system metrics by providing support for redundant or parallel configurations, highly complex systems and other real-world scenarios. 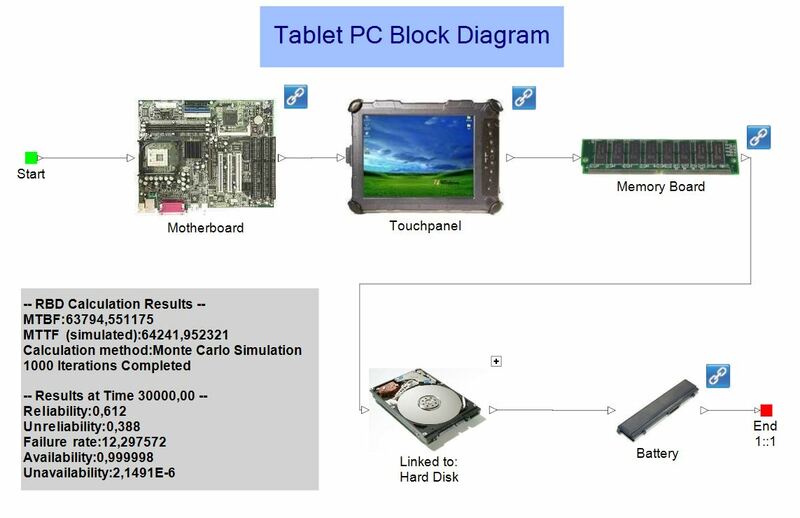 PTC Windchill RBD (Reliability Block Diagram) provides the reliability block diagram and phase diagram tools, together with powerful optimization and simulation techniques, that are necessary for advanced system modeling and analysis. PTC Windchill RBD provides intuitive graphical tools and a wide selection of maintenance-related calculations to help you model complex system configurations, determine values for spares, and calculate preventive maintenance and inspection intervals while accounting for multiple facets of component maintenance. Professional Outputs. Windchill RBD is supplied with a range of industry standard reports and graphs. Easy-to-use Report and Graph Wizards provide complete user customization of outputs to fit your specific needs, without the need for IT experts. Once complete, reports and graphs can be printed or saved directly to Microsoft Word or Excel, and Adobe PDF.